What does learning with technology look like in schools? 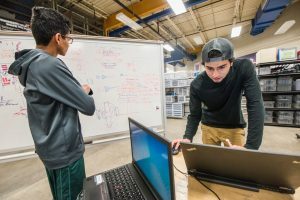 Innovation Center Classes – Registration Ends Soon! 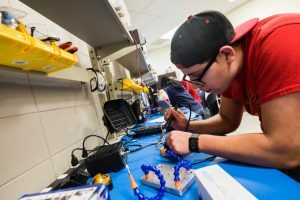 The Innovation Center offers advanced STEM coursework, often leading to industry certifications, to high school students throughout St. Vrain Valley Schools. Students can take classes in robotics, information technology, video production, unmanned aerial systems, and more! The Innovation Center also provides students with links to business and employment opportunities surrounding theses fields. 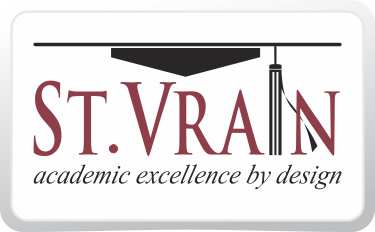 Classes at either location are open to all district high school students. Transportation is provided to and from all students’ home high schools. All CDC and IC classes count as practical arts credit towards graduation. Families can create a new account or use an existing RevTrak account. Register for 2018-19 Innovation Center High School Classes by January 28th!